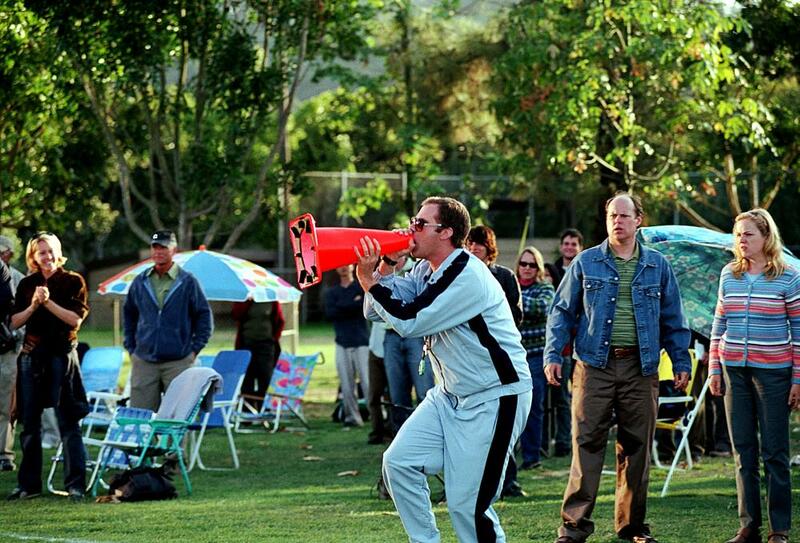 Should My Child Compete in Tournaments? The martial arts are a great way for any child or adult to build confidence. Class attendance and regular scheduled belt promotions allow students to develop their skills and test their abilities. Every parent of a martial artist will often face the tough decision, of whether their child should compete in their academy’s upcoming tournament. Although martial arts tournaments are not generally mandatory for a student to progress they have amazing benefits. The following article discusses the top five benefits of taking on the challenge of competition. At Pride Martial Arts Academy we often use the focus anchor, “Goals you set, are goals you get.” Preparing for a martial arts tournament has the most underrated benefit, which is practice. Whether it is studying for a school exam, practicing for a dance recital, or getting organized for an important business meeting, most individuals will put forth more effort in preparing when there is an important goal they are trying to achieve. Tournaments offer the same direct benefit, as students will train harder and more frequently in hopes of achieving a better outcome. 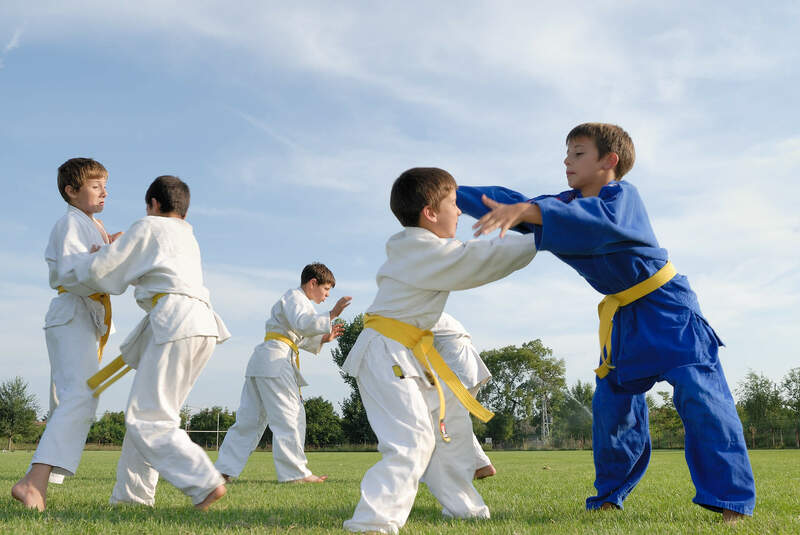 Win, or lose, students are more likely to practice their martial arts in aspiration of a better performance. Many parents are focused on their children winning, when really the major benefit of preparing for a tournament is increased practice. Even if your child does not win first place, all the extra preparation will have provided the amazing benefit of improving their skills through an increase in their training and practice. Tournaments and competition also provide important direct feedback. Competition, in all forms, allows an individual to measure their strengths and weaknesses, and provides important feedback for continued training. Regular competitive training helps keep students motivated in constantly improving their abilities. Dealing with a loss can be tough for anyone, but we often learn more from our failures than our successes. As a parent, it can be tough watching your child losing a sparring match or dropping their weapon during a tournament performance. Instead of focusing on the fact your child did not win or place first, this is an opportunity in motivating them in what they can improve, and areas of weakness where they must work harder. Losing, does not have to be a negative consequence of a tournament, but rather a learning opportunity to teach our children to work harder for what they want to achieve. Competition builds confidence. Many parents share the fear, “If my child loses in a tournament, will it hinder their confidence?” Losing, or not performing the way we had expected, only breaks a student’s confidence if that is what is being instilled by the parents or coaches. Instead of concentrating on how a student is rewarded at a tournament, it is more important to focus on what goals where achieved. For example, if your child has been practicing a specific technique or combination in class, and they were able to properly execute that drill in the tournament, this should be the primary focus, rather than if they won first place. If we change our mindset as parents, that competition is not all about winning and losing, but rather the ability to work towards a specific goal, students can always walk away with a sense of heightened confidence. 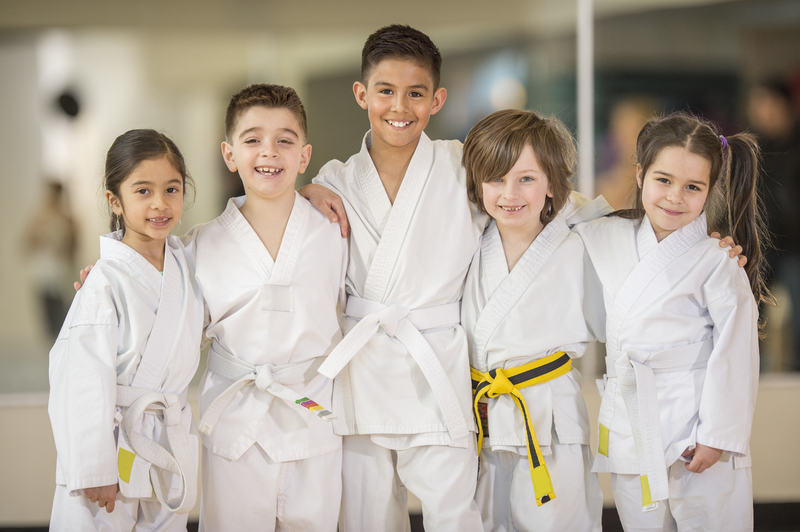 At Pride Martial Arts Academy we teach our staff and parents the art of “being a good finder.” Focus on what your child did well and celebrate even the smallest victories. Celebrate the fact your child got out there, on their own, and gave their best effort, in front of their peers, family, and competitors alike. As students of the mixed martial arts, we are always looking for ways to positively transform our character. Simply put, we aim to be the best version of ourselves. Nobody likes to lose, but are there benefits to losing? The answer is yes. Children and adults need to learn that we are not always going to win at everything. We are always going to endure obstacles and hardships, and it is how we handle the adversity of competition that truly builds character. We are all familiar with the saying, “Get knocked down seven times, but stand up eight.” It is said, in times of hardship and loss people show their true character. Anyone can be enthusiastic, content, and understanding when things are going well. But it is the competitor that can be humble and act with grace when times are tough. At Pride Martial Arts Academy we have a wall dedicated to this philosophy and understanding. The wall reads, “Be strong when you are weak, brave when you are scared, and humble when you are victorious.” Teaching children that failure is a part of life is an important lesson. Michael Jordan once said, “I can accept failure, everyone fails at something. What I can not accept is not trying.” Failure is part of the journey towards success. Everyone fails at one time or another, the courage comes in continuing to try. Lastly, tournaments are a benchmark in allowing students to see the fruition of their hard work and effort. Whether they win awards in their individual events or not, they should be proud and encouraged for their effort. Tournaments are all about having fun. We often are so focused on winning or losing, we forget the most important benefit that we gain from tournament competition, which is camaraderie. The life-long memories, stories, and friendships that we gain from training and competition far outweigh the importance of winning. At Pride Martial Arts Academy we often say, “The only thing better than training martial arts, is training martial arts with your friends.” Next time a tournament opportunity arises, take the challenge, take the risk, and receive the countless benefits that competition can offer! Thank you for reading. Stay tuned to our blog for more information on the benefits of training in the mixed martial arts. For more information on our programs call (716) 565-0202 or visit www.BuffaloKickBox.com and make an appointment for a FREE introductory lesson today!